You know the makers of a 707 horsepower family sedan aren't going to skimp out when it comes to their SUV. The Durango has well-earned the nickname of the King of SUVs, out-towing, out-speeding, and out-powering all other vehicles of the segment. 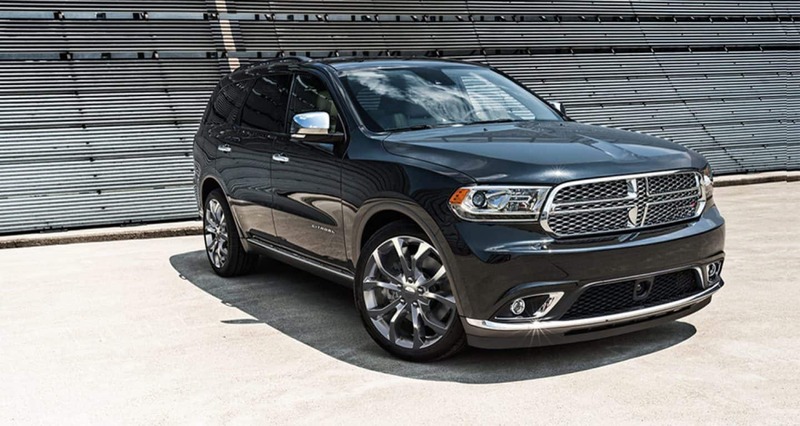 The available third row seating provides you with a maximum of seven passengers within, making the Durango a well equipped family hauler that can bring along all the tech, gadgets, and gear for any road trip. What seating arrangement versatility is there? There are five primary trim models for the 2019 Durango lineup: the SXT, GT, Citadel, R/T, and performance topping SRT.Each lends a superior interior flexibility of seating arrangements and cargo space to suit any of your needs. Vehicles equipped with a third row offer 17 cubic-feet within the trunk, while two-rowed vehicles give you a massive 47 cubic-feet of space. If this isn't enough, the second row folds to provide you with up to 85 cubic-feet of cargo capacity! Anything larger can be stored up on the Durango's available heavy duty roof rack that's capable of carrying up to 150 pounds. A second row 60/40 folding bench seat is standard, but the luxury Citadel now comes with standard dual captain's chairs to make accessing the third row a breeze through the center aisle. In total, over 50 seating arrangements can be tailored to suit any situation of passengers and cargo you find yourself in. 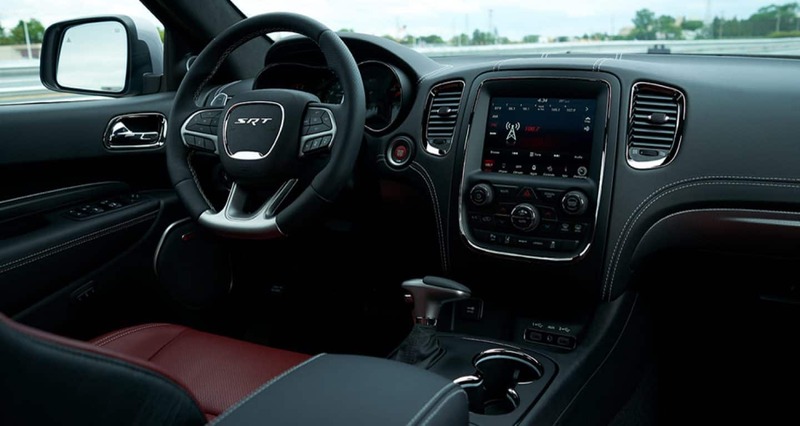 You'll find yourself at the helm of some great modern convenience and technology, too, when stepping into the 2019 Durango. Every vehicle comes equipped with the latest Uconnect apps in either a seven- or largest-in-class 8.4-inch touchscreen interface. This system is also programmed with the latest Apple and Android smartphone wireless integration, along with voice recognition, Bluetooth, fastcharge USB ports, and auxiliary ports for MP3 streaming. HD radio, GPS, SiriusXM, and additional USB ports for front and rear rows come standard in higher trim models. There's upgradeable sound systems available to add in every Durango. You have choice of a standard six-speaker Alpine audio system, six-speaker Beats Audio premium sound system plus subwoofer, or upgraded nine-speaker Alpine audio system plus subwoofer. 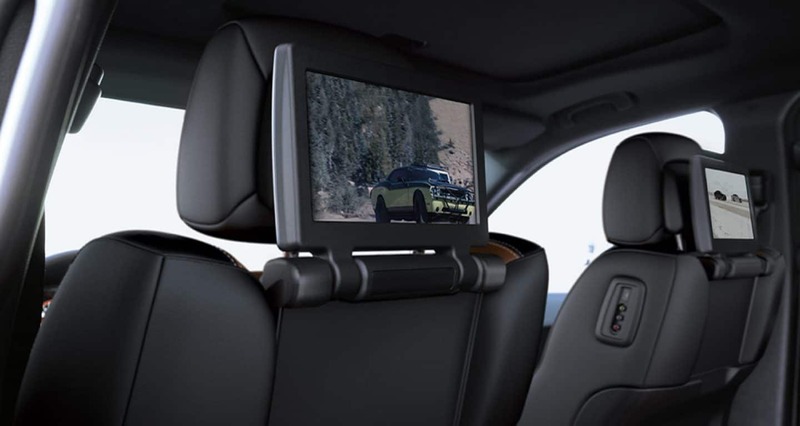 Your second row comes with an optional entertainment system for those long car rides, featuring dual flip-up nine-inch touchscreens equipped to the back of the first-row seats. This system is BluRay equipped, with compatible Bluetooth, HDML, and USB to bring your second- and third-row occupants plenty of entertainment. 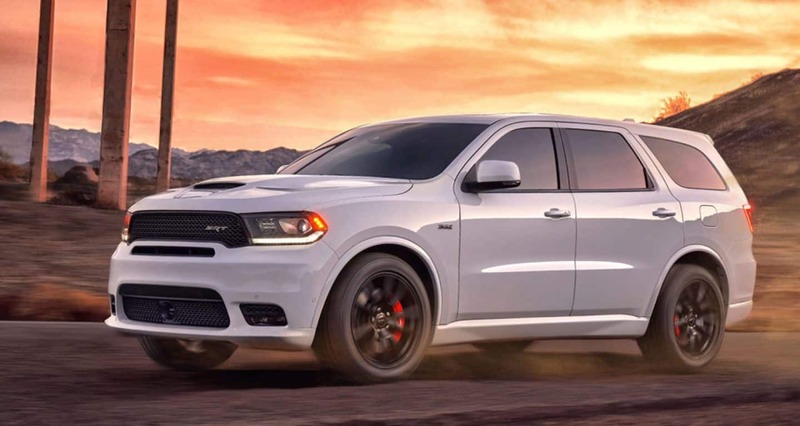 Dodge's legendary systems come equipped with the 2019 Durango as well, speeding forward with the same engines that are put into their all-American-bred muscle cars. 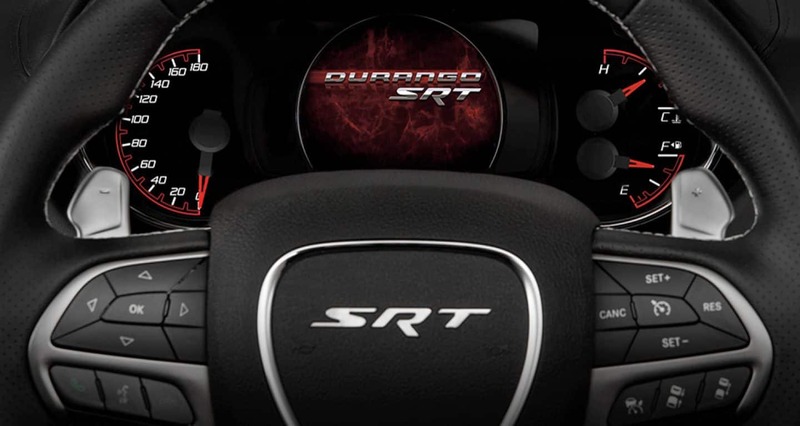 The first two powertrains offer either rear- or all-wheel drivetrains, while the performance driven SRT comes only in all-wheel drive. Starting you off, the base SXT and GT trims come with the award-winning 3.6-liter Pentastar six-cylinder engine to deliver you with 295 horsepower and 260 lb-ft of torque. With advanced variable valve timing, this engine efficiently pumps out the miles, with maximum 26 highway mpg ability. Another bonus: the V6 Durango can tow up to 6,200 pounds. 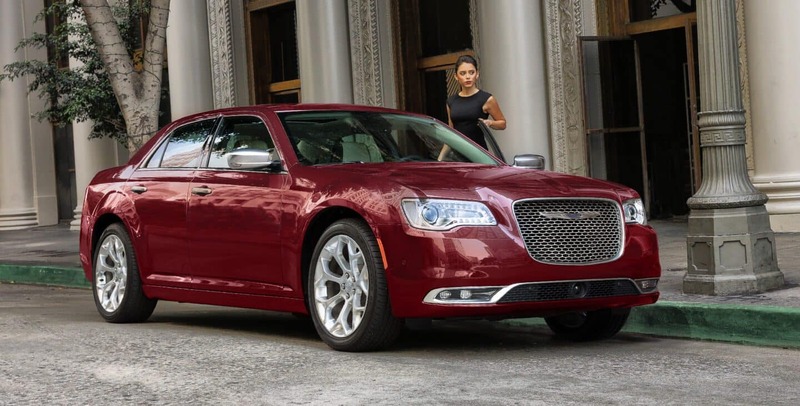 The Citadel and R/T sport the 5.7-liter eight-cylinder HEMI engineered with Fuel Saver Four-Cylinder Technology, turning off half the cylinders when the excess power isn't necessary to save on gas. The 360 horsepower and 390 lb-ft of torque churns out 22 mpg, and comes with a tow rating of up to 7,400 pounds. Last, the SRT-exclusive 6.4-liter HEMI lends the biggest and fastest performance you'll get out of a SUV. The 475 horsepower and 470 lb-ft of torque are capable of a best-in-class 8,700 tow rating, speeding over quarter miles at a clocked 13 seconds. Each engine comes equipped with the class-exclusive electric eight-speed automatic transmission with manual mode shift paddles. 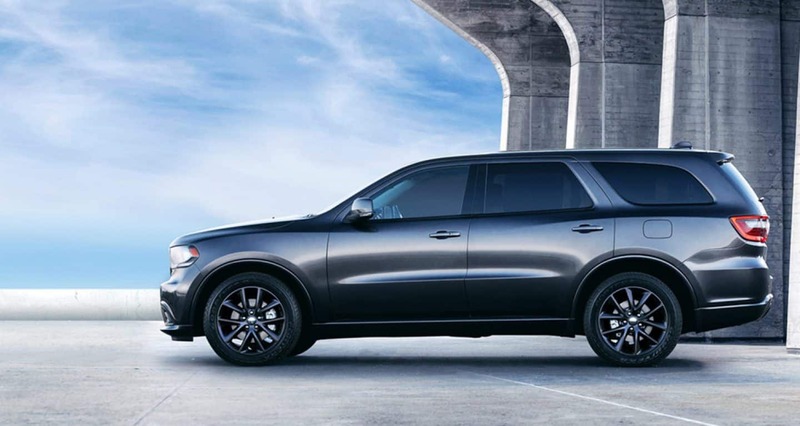 You're getting the biggest and most capable SUV when you opt for the 2019 Dodge Durango. You won't find another that'll support big families with big power needs and big hobbies, capable of hauling these numbers while maintaining a superior interior comfort and enjoyability. 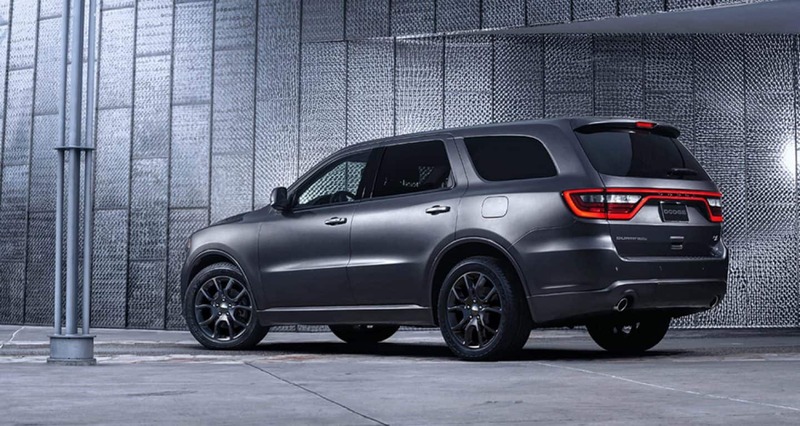 Take the whole family to test out the Dodge Durango and see what everyone thinks of this modern family hauler!